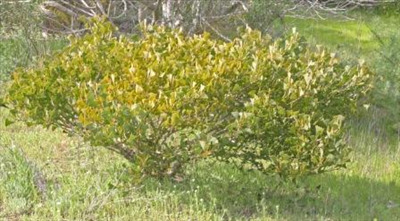 Ornamental, dwarf shrub with wedge-shaped flat leaves and yellowish-green and reddish flowers. Tolerates light well-drained soils in full sun. Lignotuberous and can withstand hard pruning. Great container plant. Takes years to flower and seed is difficult to obtain.